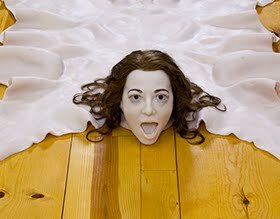 If It's Hip, It's Here (Archives): If You Think Damien Hirst's Work Is Trash, You're Right. The New Damien Hirst Limited Edition Dotted Vipp Bin. 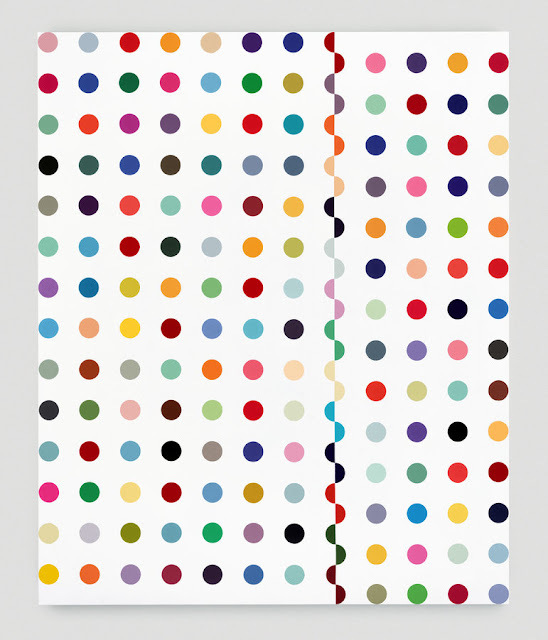 If You Think Damien Hirst's Work Is Trash, You're Right. 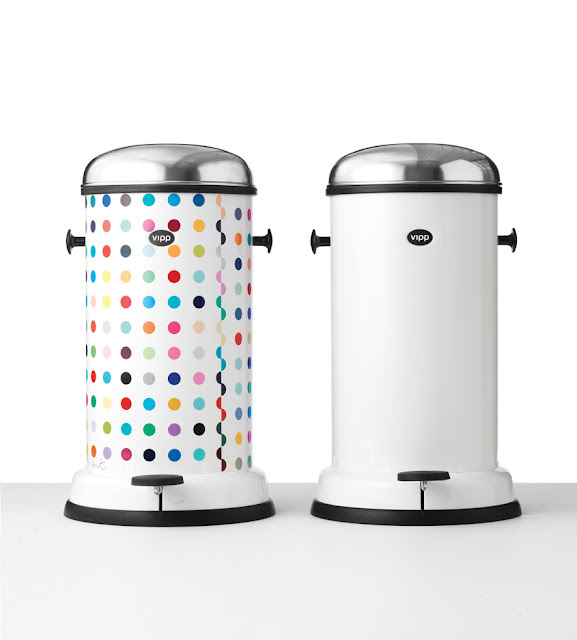 The New Damien Hirst Limited Edition Dotted Vipp Bin. 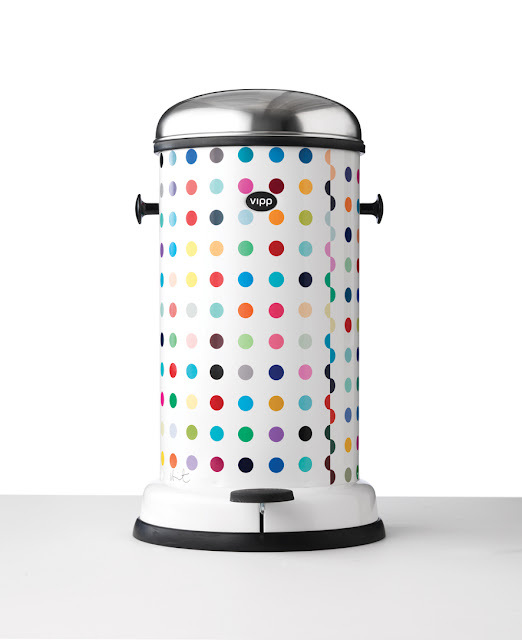 The internationally renowned artist Damien Hirst has created a limited edition of the Vipp bin exclusively for Astrup Fearnley Museet. 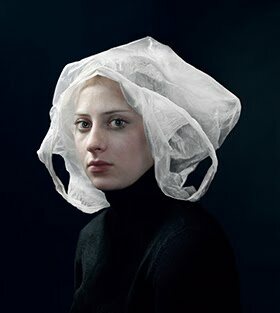 When Danish craftsman Holger Nielsen created the pedal bin in 1939, it was only intended for his wife’s hairdressing salon. Since then, the small waste bin has been on quite a journey and is now entering the colorful world of the internationally renowned artist Damien Hirst. 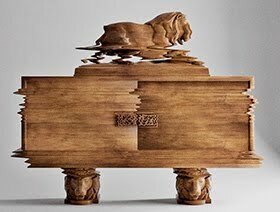 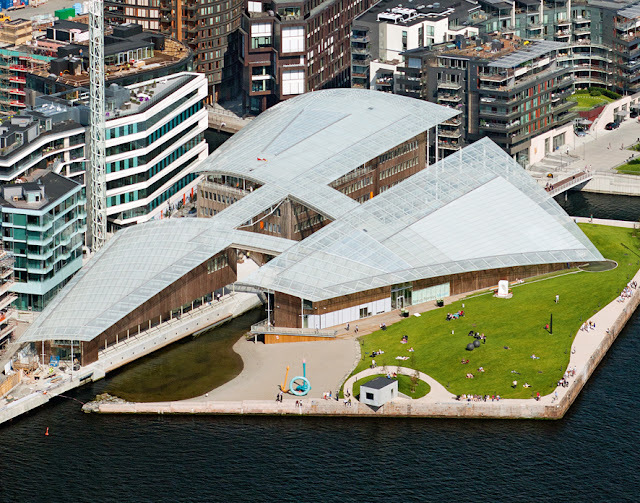 An exclusive and limited collection will be presented at the opening of Astrup Fearnley Museet in Oslo, Norway on the 29th of September. 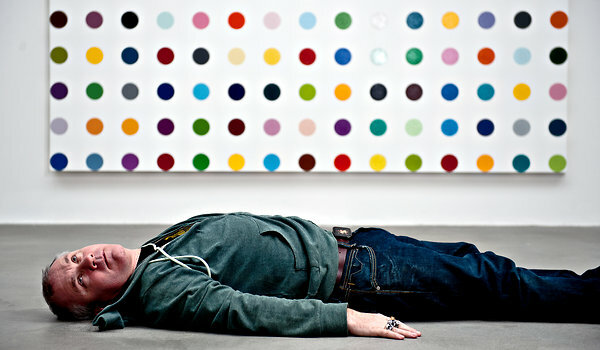 Damien Hirst forged his place on the British art scene as a remarkable emerging artist in the late 1980s. 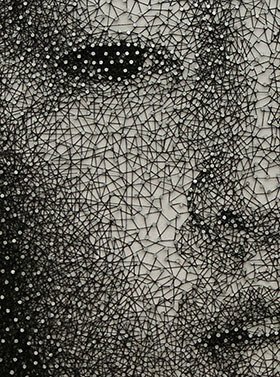 When he in 1995 won the Turner Prize, his talent was further recognized, and his stamp firmly embossed on the global contemporary art map. 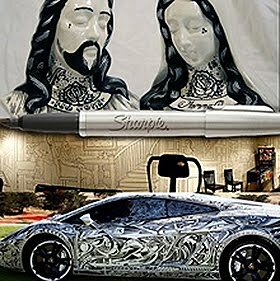 He has now achieved superstar status in the contemporary art world. 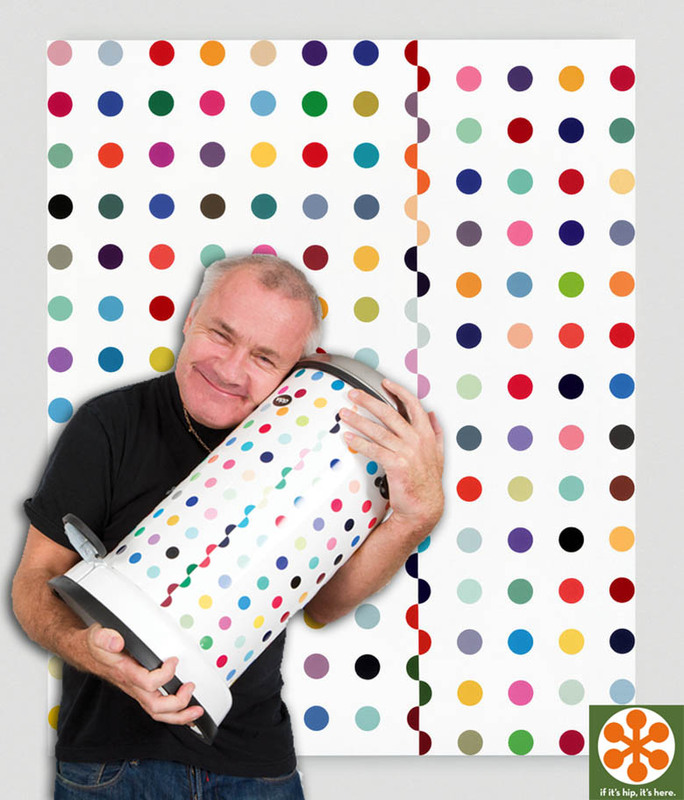 The Vipp bin has been redesigned by Damien Hirst with inspiration from his world famous colorful spot design Chloramphenicol Acetyltransferase (shown below). 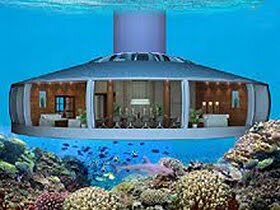 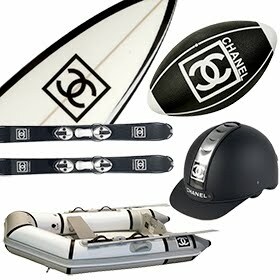 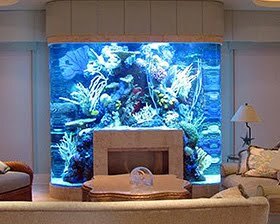 This is one of Damien Hirst’s most recognized art works and it has been designed in many variations since 1987. 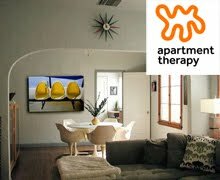 “I ’ve always loved colour, playing with colour, moving colours around. 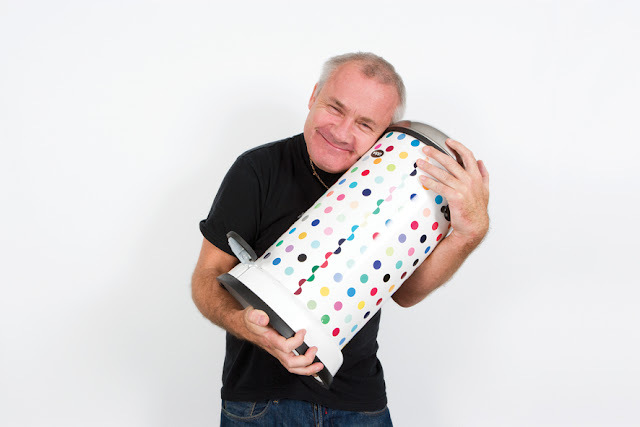 Designing a Vipp bin using spots makes the Vipp bin joyful“ – Damien Hirst.